With performances by members of the Classical Guitar Society of Upstate New York: Harry Pellegrin, Matthew Downey and Sal Salvaggio. 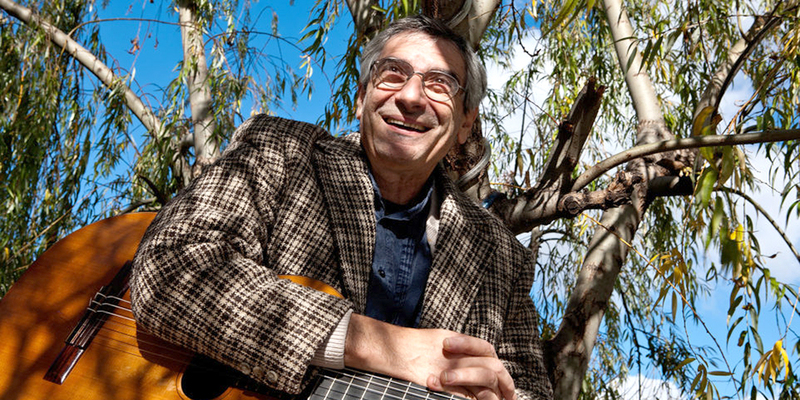 In his dual role as composer and guitarist, Juan Falú is a cornerstone of contemporary Argentinean folk music. He was born in Tucuman (Northern Argentina, 1948) to a family of guitarists which includes his uncle, legendary Eduardo Falu. His music for guitar recreates the freshness and inventiveness of folk rhythms, and many of his songs are already established within the repertoire of outstanding folk musicians. As an interpreter, Juan Falú employs his vast knowledge of folk rhythms, and displays an innate command of the artistry of improvisation. The accomplished classical guitarist Eduardo Fernandez has called him “a real time composer.” Among the numerous awards he received are the National Music Award (2000), the Clarin Prize (2001 and 2008) and the Gardel Prize (2008). In the past 30 years, he has toured North, Central and South America, Europe, Asia and Africa, and has offered concerts in prestigious halls in more than thirty countries. His recordings include 24 albums as soloist, and more then 50 as guest of other artists. Juan Falú is the director of the festival “Guitars of the World”, considered the largest international event in its genre.